Car shopping in the Staten Island area? 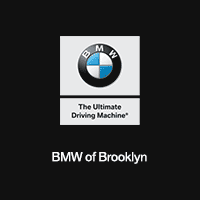 Look no further than the new vehicle inventory at BMW of Brooklyn. We have a variety of luxury models and high-performance vehicles in stock, from the BMW 3 Series to the BMW X5. Our team is ready to get you behind the wheel of the car that best suits your Manhattan commute. We always offer rotating BMW incentives, which makes it even easier to drive home in your dream car. When you’re ready to explore our luxury car inventory in person, visit BMW of Brooklyn near Queens! If you want to do more research by comparing BMW vs. Lexus and the BMW vs. Audi brands, or if you have any questions before stopping by, please feel free to contact us. BACK-UP CAMERA, NAVIGATION, LANE DEPARTURE WARNING, BLUETOOTH, REAR PARKING AID, MP3 Player, KEYLESS ENTRY, 32 MPG Highway, TURBOCHARGED, POWER LIFTGATE, ALLOY WHEELS.